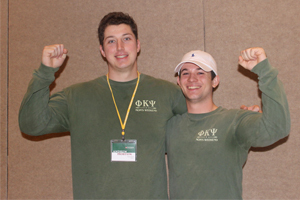 The Professional Development Conference is PKP's newest program. 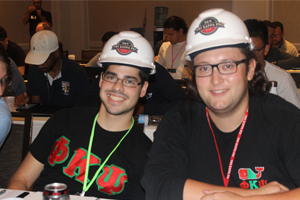 The Phi Kappa Psi Fraternity aims to ensure our undergraduate members are receiving the most relevant programming to enhance both their personal and professional talents at the Professional Development Conference (PDC). Undergraduate juniors and seniors have the opportunity to attend this premiere conference to enhance their professional skills prior to graduation. This program is open to all majors and backgrounds. 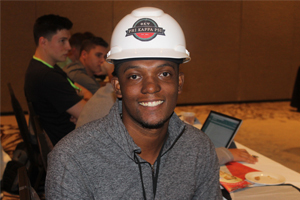 The inaugural PDC that took place in 2017 helped 101 out of the 120 attendees secure internships and full-time positions, and the participants have a combined total of 75,000 LinkedIn connections. This year, PDC will occur from October 25-28, 2018 in Dallas, TX at The Hyatt Regency. This program is led by successful Phi Psi alumni from all industries and is available to all majors and backgrounds. If you have any questions, please feel free to send your questions to James McLendon, Associate Director of Member Development. All alumni local to the Dallas-Fort Worth area are invited to attend a free networking opportunity at the 2nd Professional Development Conference program on Friday, October 26th from 7:00-9:00pm CST at the Hyatt Regency at DFW in Dallas, Texas in Enterprise 5&6. The program seeks to help students understand how to properly network with others and your participation is a critical part of that process. This will be a chance for you to meet our undergraduate brothers looking to take the next step in their professional careers. Please RSVP if you plan to attend!